Cheer on the Eagles or Patriots on a projection screen at City Tap House with gameday specials on brews and food. Before gearing up to watch Super Bowl LII, rate the best-looking U.S. presidents and enjoy samples at an all-you-can-taste brunch fest this weekend. In a parody that rivals a teen magazine, learn about a side of U.S. presidential history that you won’t find in textbooks – which presidents are the most attractive. Authors J.D. and Kate Dobson will host a book reading of the first volume of their “Hottest Heads of State,” which fills in the gaps on important presidential information like which head of state would make a good boyfriend. Learn important tips like presidential pick up lines and how to get former President Martin Van Buren’s hairstyle at home. Their bipartisan analysis promises to be both informative and humorous. East City Bookshop, 645 Pennsylvania Ave. SE. 6:30 p.m. Free. The District’s abundant brunch options can make it hard to choose just one restaurant for the greatest meal of the day, but now you don’t have to. Celebrate Brunch Fest at Union Market for an “all-you-care-to-taste” extravaganza. The event will feature samples from more than 15 of the DMV area’s best brunch spots, like B&O American Brasserie and Sugar Shack Donuts & Coffee, with griddles that will be cooking bacon and sausage all day. Wash down your feast with a coffee, brunch cocktail, beer or wine and explore the games and activities as you listen to some of D.C.’s DJ’s. A portion of the proceeds will go to the Spirit of Hope Children’s Foundation, which supports children and adults with mental or physical disabilities. Union Market Dock 5, 1309 5th St. NE. 11 a.m. to 3 p.m. Tickets $89, all inclusive. 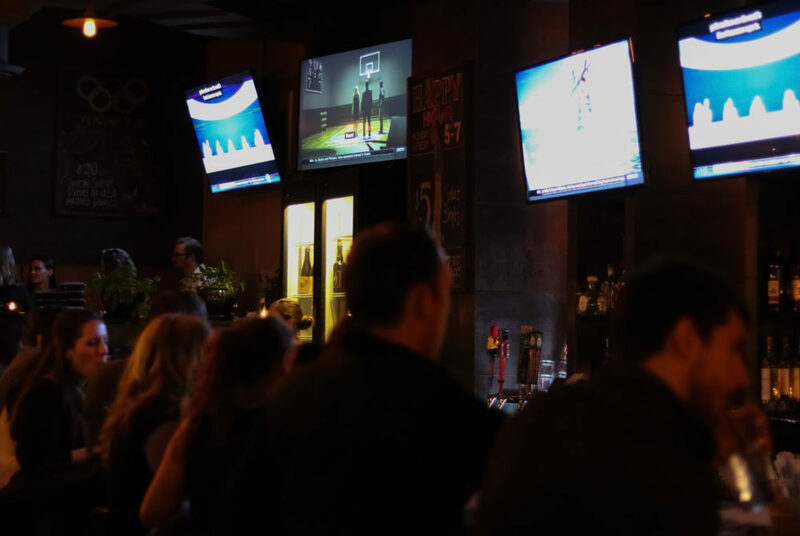 Cheer on the Eagles or Patriots on a projection screen at City Tap with brews and food. City Tap will offer $13 Narragansett Tallboy Buckets and tailgate snacks like pizza, cheesesteak spring rolls and potato skins to enhance your viewing pleasure. They’ll also have gameday specials available “from whistle to whistle.” But if you’d rather watch the game from the comfort of your own couch, their $52 take-out platter will be a big hit at any gathering – with six potato skins, a Sicilian pizza, 18 wings and six cheesesteak spring rolls. If you’re in a betting mood, you can also take part in Super Bowl squares. Proceeds go to local charity D.C. Scores, so you won’t have to feel too bad if you’re unlucky. City Tap House, 901 9th St. NW. 6:30 p.m.